Join us for a one-day workshop to inquire into place, voice, and image in your writing. The sea and our relationship to it will be the focus of our work. We’ll walk to the adjacent Mussel Ridge Cove gathering images, objects, and impressions to inspire our writing. 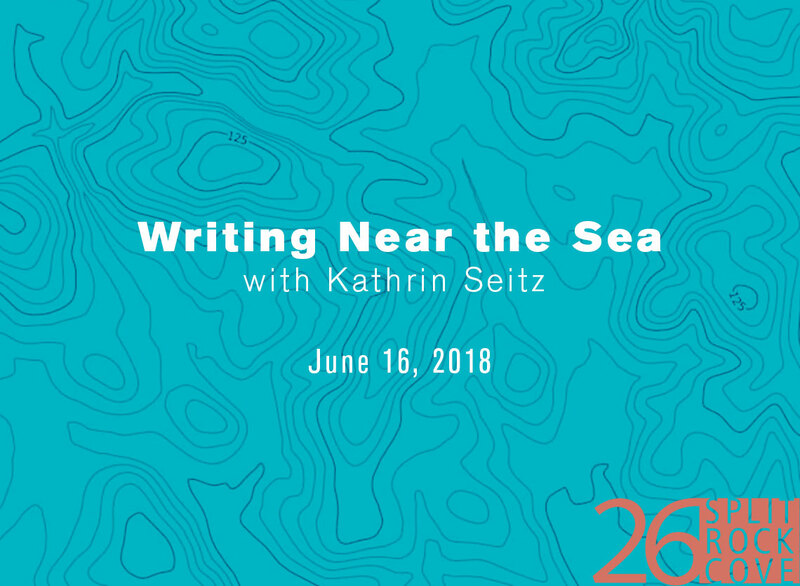 Kathrin’s instruction will focus on the practice of using voice and image development, as she introduces us to other writers’ work using the sea as metaphor. Kathrin Seitz, writer, producer, and professional coach has more than thirty years experience in publishing, film, and television. She has been teaching for over six years in New York City; Newport, RI; Malabar, FL; and mid-coast Maine. Artist and poet Sandy Weisman will talk about how living by the sea and observing life in the littoral zone — a space where life gets buffered twice daily by nature — effects her poetry and collage. We will offer materials, such as paper, paint and glue so that participants, if they so desire, might use these materials to make a collage with words and images. Please bring your own lunch. We will provide snacks and drinks.